Before they are cooked, these pungent greens are red. 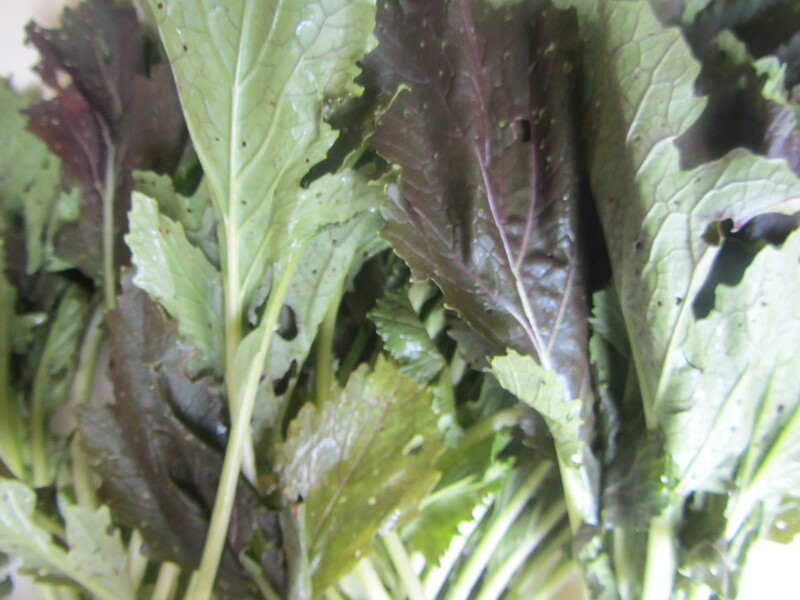 Red mustard is one of several varieties of this cruciferous leafy green believed to have properties that prevent cancer. These are simply water-sautéed with a dash of apple cider vinegar, garnished with edible flowers. and the edible flowers well by immersing each, separately, in a bowl of water. Trim the stems from both the mustard and the flowers and set aside. To a medium-sized stainless steel skillet, add an inch of water. Bring to a boil. 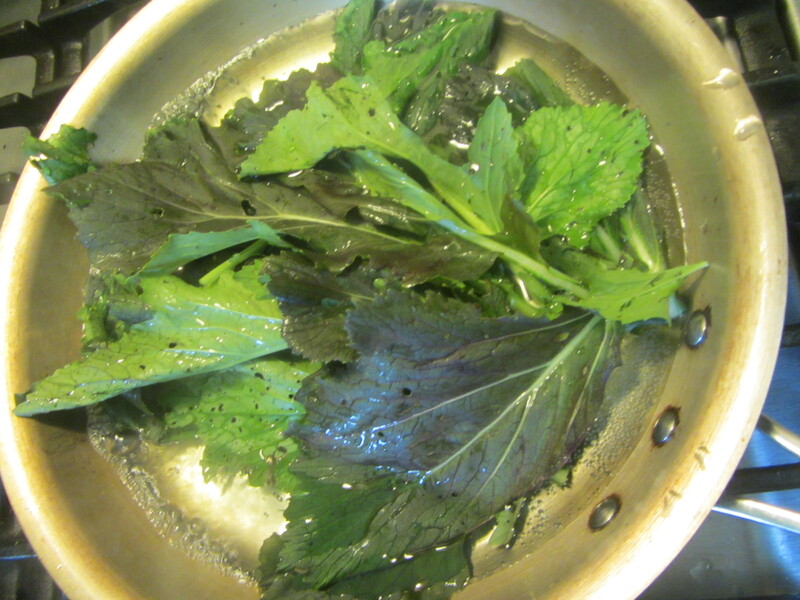 Add a pinch of sea salt and then add the clean mustard greens. Allow them to boil for about one minute. 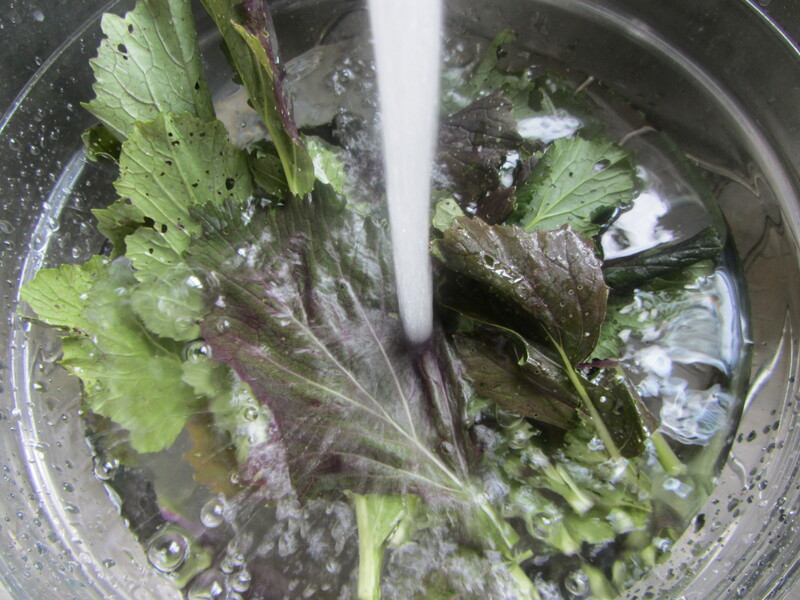 Drizzle the apple cider vinegar over the greens while still in the pan. Remove them from the pan with a wire mesh skimmer or a slotted spoon. 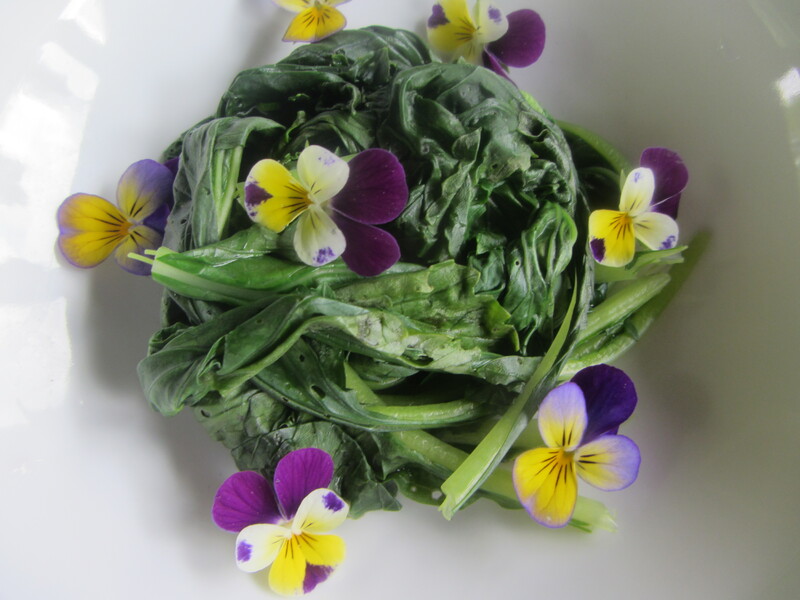 Serve on individual plates or bowls and garnish with the edible flowers.